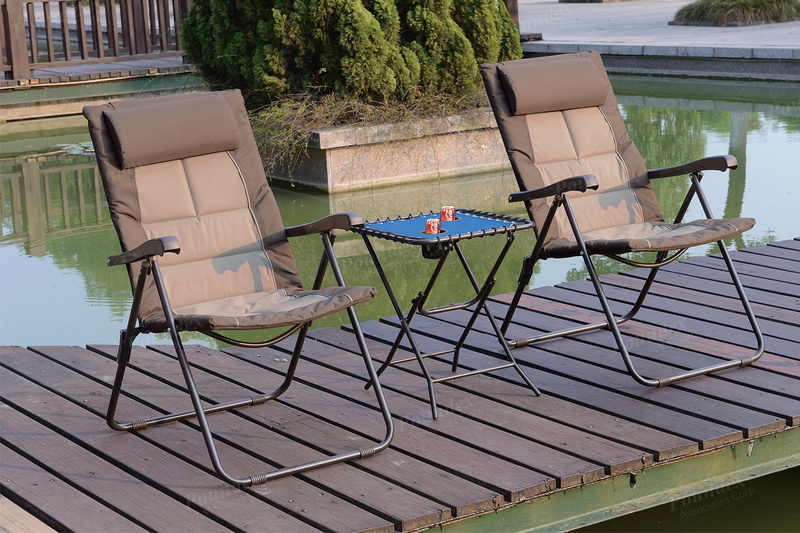 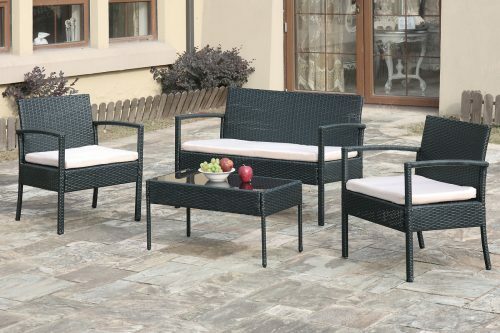 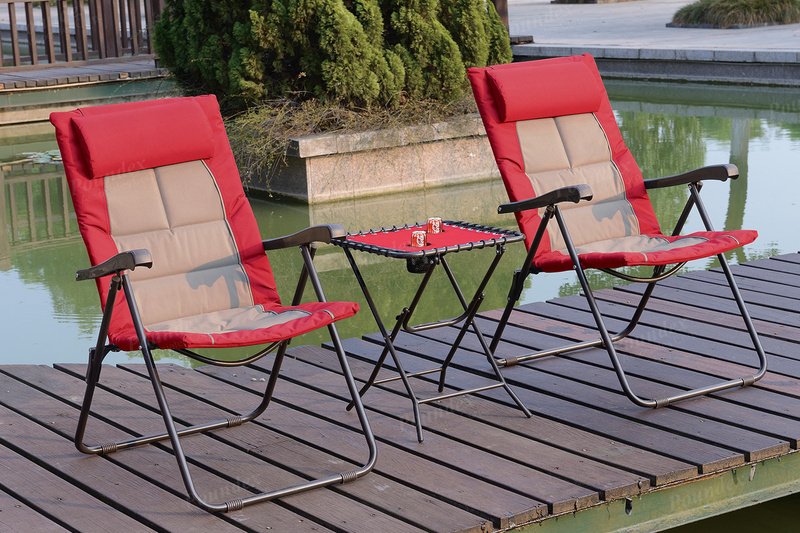 Delight in the sun with this unique 3-piece bistro set for the outdoors. 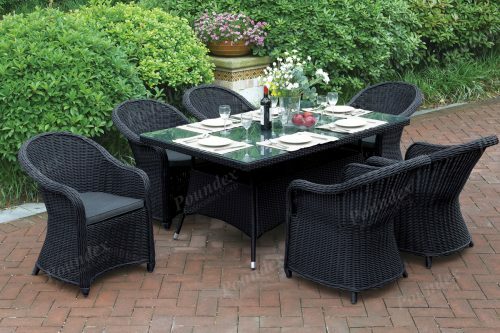 It features seating with a stylish colorful trim and a light brown center design. 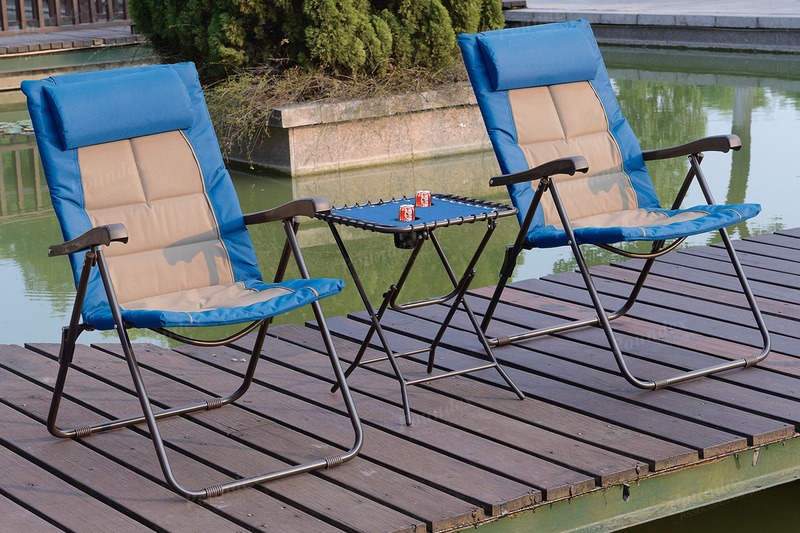 Each chair has a head cushion and armrest for added comfort. 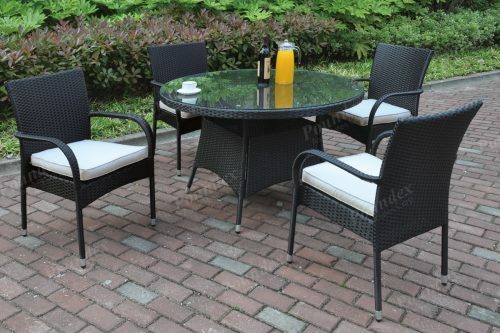 Pair these chairs with a matching side table that includes two cup holders. 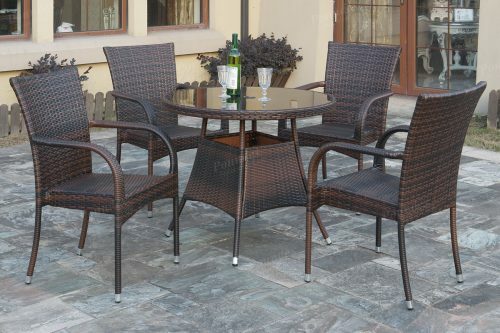 Available in tan (table not available in this color), red, or blue.